A few April showers don't have to spoil your outdoor fun. Here's the best gear to stay dry and protected in wet weather. April showers bring May flowers, but what do May flowers bring? Sunshine, beach trips and family vacations, of course ... but a little bad weather is never out of the question. However, you don't have to wait until Mother Nature calls it quits on all the rain to get outside and enjoy the warm weather. Here to show us the best gear to keep you and your family dry this month is TODAY Gadget Guy and the author of "Gadget Nation," Steve Greenberg. Read on to shop Steve's top picks for beating April showers. 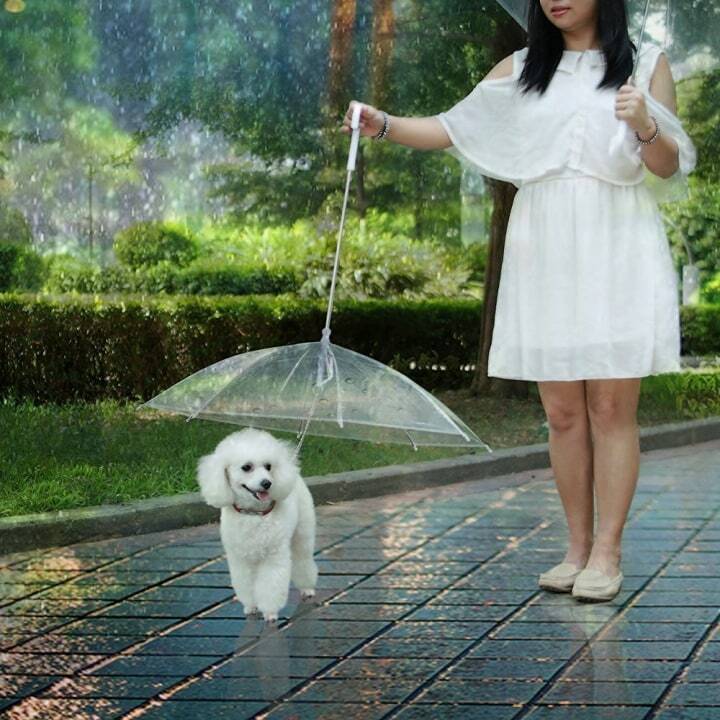 This imaginative product is so much better than a puppy raincoat. Essentially a leash with an upside-down umbrella, this $16 gadget will keep your pup dry and happy on his next walk. These portable pop-up tents are perfect for camping, tailgating and other outdoor activities. 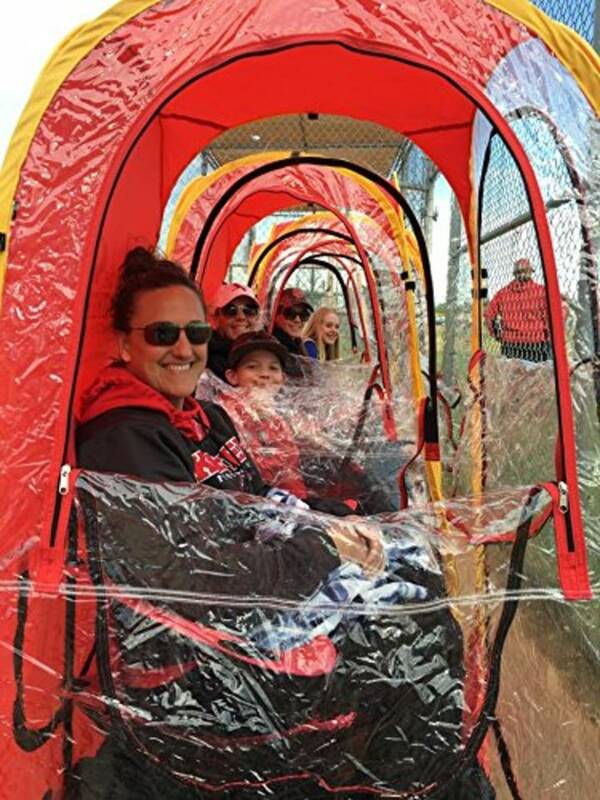 The handy polyester huts offer shade from the sun or shelter from the rain, making them the perfect accessory for any outing. You can learn more about them on Undertheweatherpods.com. 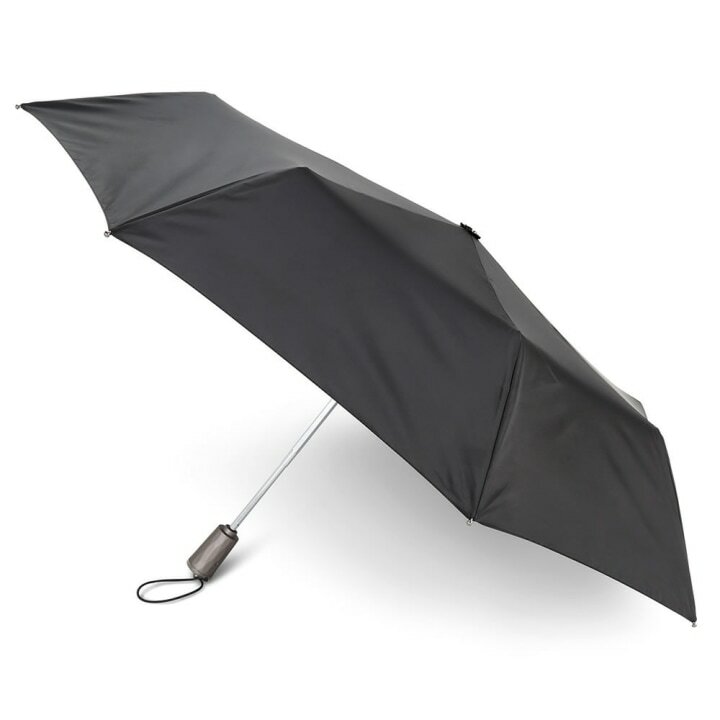 This is no ordinary umbrella. 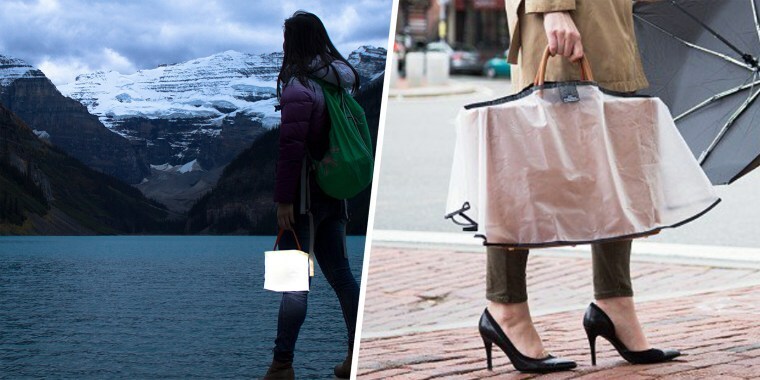 It has a superhydrophic coating that repels water, meaning the canvas won't be wet when it's time to go indoors or place the umbrella in your bag. It also opens and closes at the press of a button so you don't have to wrestle with it. 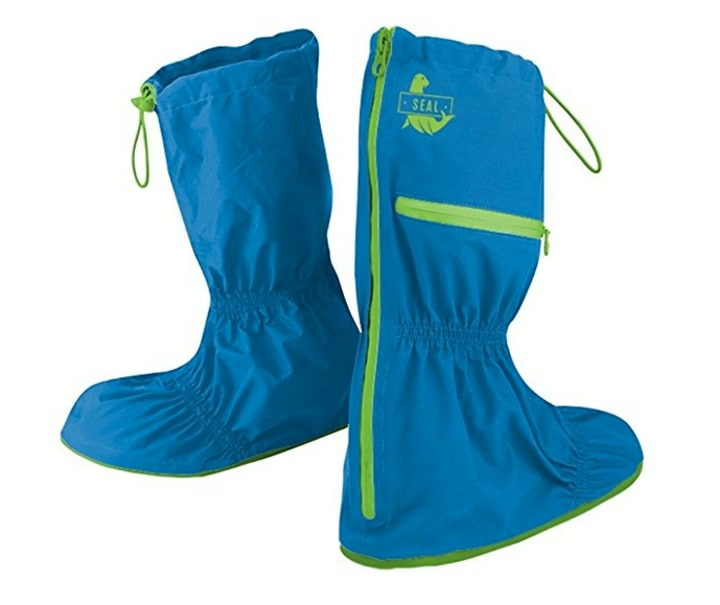 Design to be worn over all types of shoes — flats, sandals, wedges, tennis shoes even high heels — these lightweight shoe covers will protect your footwear from rain, snow or mud. Once you are done wearing them, just roll them up in their pouch and pack them in your bag for the next rainy day! You can learn more about the Seal Shoe Covers on sealshoecovers.com. 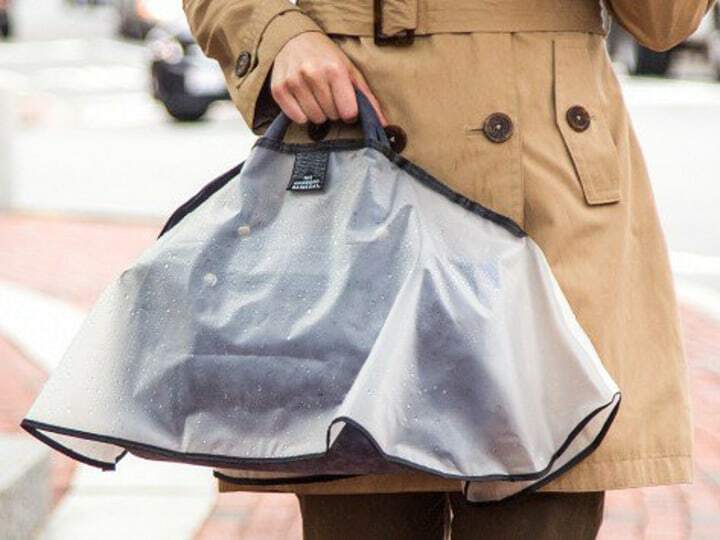 Now you can protect your handbag from the elements with this waterproof purse cover. It attaches to your purse in a way that lets you use the straps and reach inside for your wallet or phone. No more wet tote bags or ruined leather here! Whether you're in the rain or the shower, these long-lasting, waterproof notebooks are designed so nothing can get in the way of you and your notes. 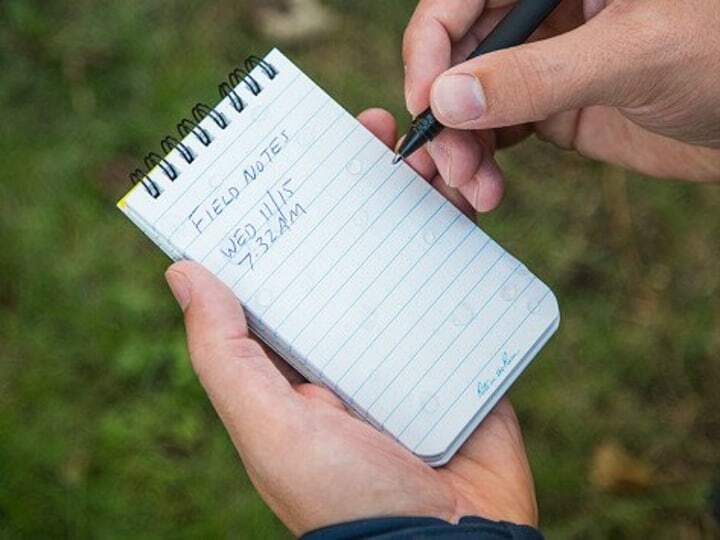 The notebook's pages have a unique moisture shield so you can write on them even if the paper is wet. 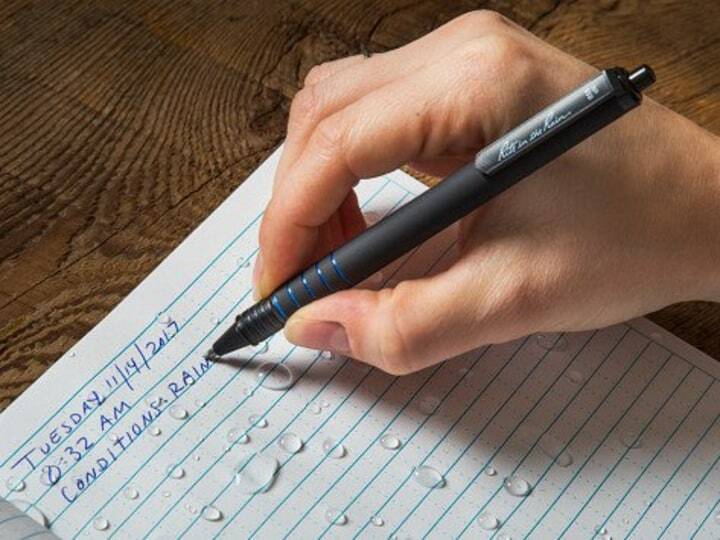 Rite in the Rain also sells an all-terrain pen that writes through water, grease, and mud. 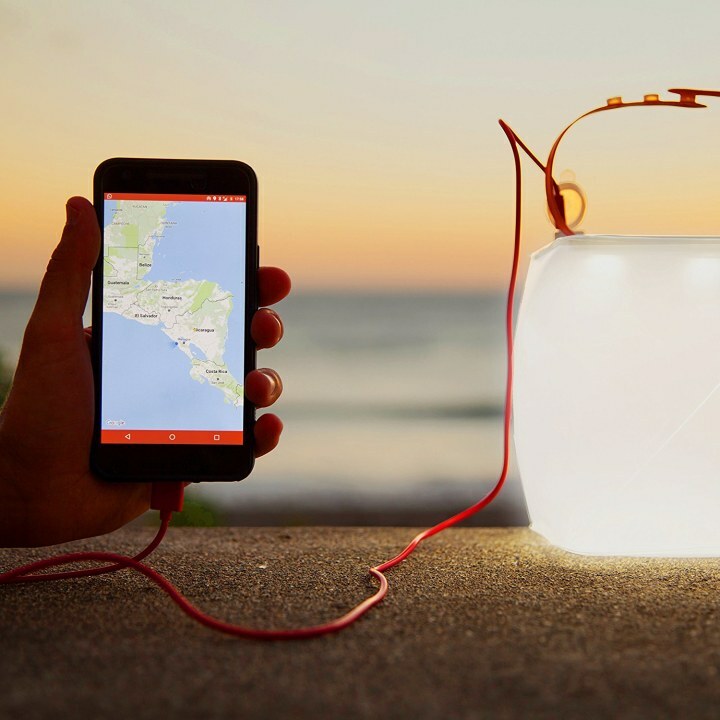 This origami-inspired phone charger is solar powered and can expand to be used as a lantern. Designed for hurricane relief efforts, this smart gadget is also highly popular with campers and outdoor adventurers who may need an extra light or a way to charge their phone in case of emergencies. This smart little gadget is a life-saver for campers, hikers and adventurers of any kind! It's special design can filter 99.9 percent of all bacteria and viruses out of even the murkiest, muddiest of water so you'll always have something to safe drink. The company even says you can dip it into a mud puddle! 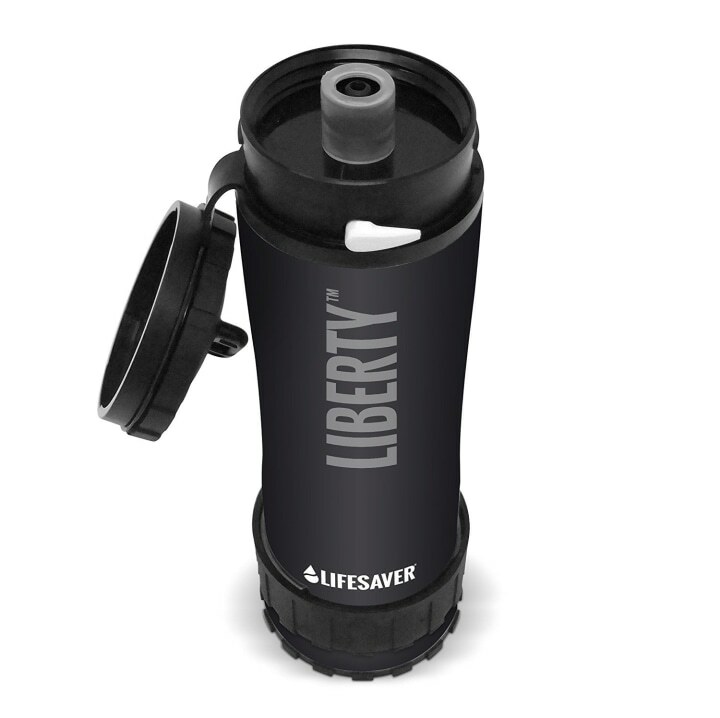 You can learn more about how this water bottle works on iconlifesaver.com.